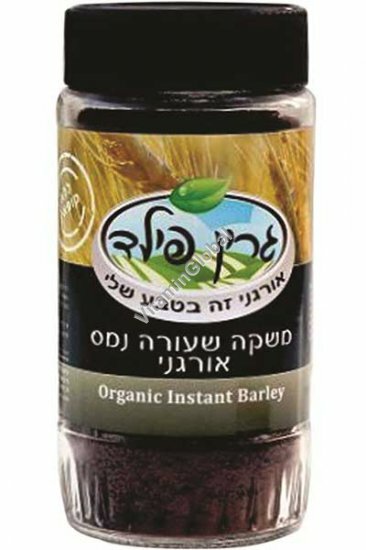 Barley is an excellent coffee substitute, with a pleasant coffee-like taste and aroma. It is also for more nutritional than coffee. In fact, studies show that barley is good for the cardio-vascular system, and reduces cholesterol, blood pressure and insulin resistance, amongst other benefits. Green Fields' use of pure organic barley helps ensure that you get the healthiest, best tasting barley available. Directions: Add 1 teaspoon to a cup of hot water. Milk and sugar to taste. Contents: 75 grams of granules.